Pfizer is an American global pharmaceutical corporation, which was established in 1849 in New York City, USA. It is one of the world’s largest companies of the sort, which develops medicines for immunology, oncology, cardiology, endocrinology, diabetology, and neurology, among other medical disciplines. 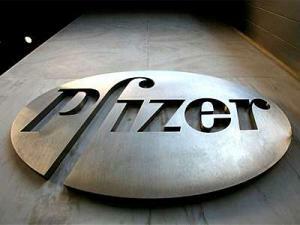 Pfizer now has over 78,000 employees and numerous subsidiaries across the globe. Have you ever wondered how rich Pfizer is, as of early 2017? According to authoritative sources, it has been estimated that Pfizer’s net worth is as high as $205 billion, an amount earned through its successful development, production and marketing of medicines. Pfizer was founded by German-American cousins Charles Pfizer and Charles F. Erhart in 1849, and they operated from a single building in Williamsburg, Brooklyn. The first product they produced was an anti-parasitic medicine called santonin, which proved to be a major success, but the production of a citric acid was the one that made them millionaires in the 1880s. Pfizer initially expanded across the New York City and surrounding territory, and by 1906 its sales totalled $3.4 million. During World War I, Pfizer was short of calcium citrate which was imported from Italy, so the company began a search for alternative ingredients, and its chemists became aware of a fungus that ferments sugar into citric acid, and so Pfizer developed the fermentation technology. It helped the corporation to increase its net worth significantly, especially during the subsequent World War II, when the Allied soldiers were treated with antibiotic penicillin. However, in the ‘40s, penicillin wasn’t expensive anymore, so Pfizer searched for new antibiotics with profit potential, and discovered Terramycin, and so by the ‘50s, the company had opened offices in the UK, Brazil, Belgium, Canada, Cuba, Puerto Rico, Panama, and Mexico. In 1960, the company moved its research facilities from New York to a new laboratory in Groton, Connecticut. Then in 1980, Pfizer developed and produced a prescription anti-inflammatory medication called Feldene (piroxicam), which became its first product to reach a billion dollars in total sales. The corporation continued to grow in the ‘80s and ‘90s, thanks to the production of such drugs as Aricept, Diflucan, Lipitor, Norvasc, Zoloft, Zithromax, and especially Viagra. In the 2000s, Pfizer merged with Warner–Lambert (2000), Pharmacia (2003), and Wyeth (2009) and has numerous subsidiaries such as G.D. Searle, Hospira, Parke-Davis, Pfizer UK, all of which benefited the company’s finances and profitability.. The company now consists of nine operating divisions: Primary Care, Specialty Care, Nutrition, Animal Health, Oncology, Emerging Markets, Established Products, Consumer Healthcare, and Capsugel. Pfizer has research and development facilities in all the following locations: La Jolla, and South San Francisco, California; Groton, Connecticut; Cambridge, Massachusetts; Kalamazoo, Michigan; St. Louis, Missouri, and Sandwich and Cambridge in the UK.